Match of the Day commentator Conor McNamara and former Charlton Athletic manager Chris Powell will talk you through the action, which will be available to watch on this page and connected TV (kick-off 12:30 BST). You can send a message to the commentary team on Twitter using #bbcfacup during the game and they will aim to respond to as many of them as they can. The BBC will broadcast one game from every round of FA Cup qualifying, starting today. 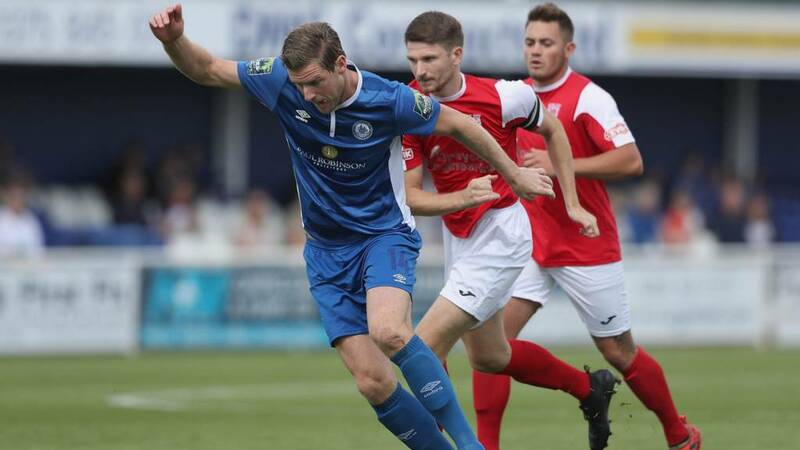 Since the FA Cup returned to the BBC in 2014-15, the corporation has shown live matches from the first round proper onwards. But coverage will now start six rounds earlier, when the extra preliminary stage gets under way this weekend. A game from every stage of the 2017-18 tournament will be live-streamed across BBC Sport's digital platforms, allowing audiences to watch the game live on PC, mobile or connected TV. Matches will also be available live and on-demand on BBC iPlayer. If you want to find out how you can get into football, take a look at the Get Inspired guide. And don't forget there will be the FA People's Cup (the people's version of the FA Cup) returning in 2018 - take a look at last year's highlights here.